Is it a Toilet or Toy-let? I’ve seen and used all types of washrooms throughout my travels -and I’m not just talking whirlpools, walk-ins or claw-foot tubs. I mean, come on, that stuff is for amateurs. I’m talking buckets and ladles; I’m talking about awkwardly crouching in a wobbly freestanding tub located in the middle of the kitchen, trying to skillfully maneuver the shower head so as to not to get any water in your roommate’s breakfast; I’m talking about using a coin machine to get your hot water; I’m talking about not always having hot water, nor a shower. I stumbled upon this eco-friendly setup a handful of times while traveling around Japan. Notice how the sink is connected to the toilet tank. Every time you flush, water comes out automatically from the sink’s faucet and pours down into the water tank. Brilliant, huh? Travelers are often interested in more refined subjects such as cuisine, architecture, art, etc. During my initial stages as a novice traveler, I too tried visiting museums and running around the city chasing famous monuments to photograph and post on facebook. But soon, I realized that traveling the “culturally correct” way was ending up to be a waste of my time and money, and above all, my enthusiasm. I finally gave up the act of culturally responsible traveler, and took up more debased activities, one of which was bathroom exploration. You may laugh, but bathrooms can provide huge insight into a culture, telling us about the country’s socioeconomic conditions, history, and environmental surroundings. The attention a society places on hygiene, aesthetics, privacy and practicality is best revealed in a bathroom’s infrastructure and design and in the way people make use of these. Having been relegated to the private sphere, bathrooms have a delicious genuineness to them, which makes them powerful cultural indicators and pretty honest storytellers. No, I wasn’t born with a freakish interest in bathrooms. As with any other art, bathroom exploration is a skill you develop over time. 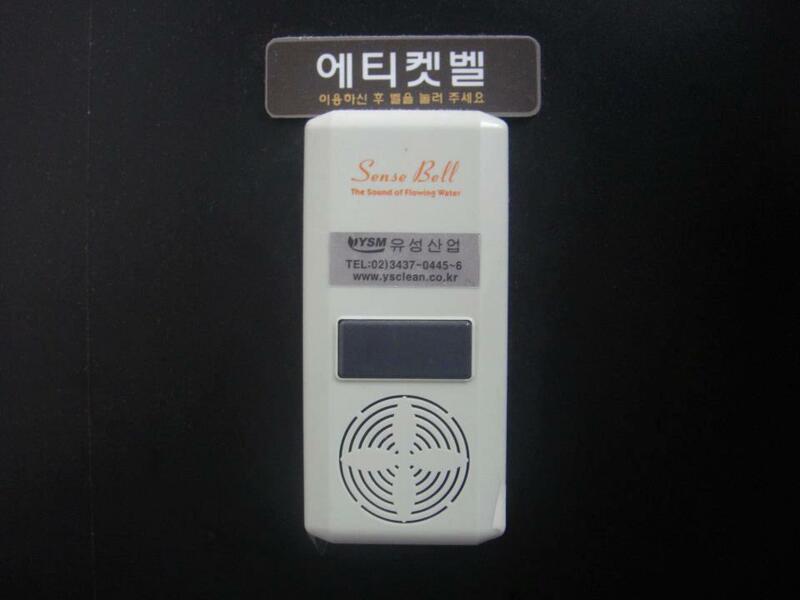 I was checking my e-mails, the sound of computerized gunshots and undecipherable shouting in Korean enveloping me in a safe and comfortable haven of noise. The owner of the PC bang had taken a liking to me and enjoyed giving me free coffee and juice. I slouched back into the leather chair and inhaled the intimate scent of cigarettes interlaced with microwaved ramyeon noodles. I was living the Korean dream, sitting in a room full of excited Korean boys, drinking free coffee, and using the fastest Internet connection in the world. I was about to order another cup of ramyeon, when I was suddenly overcome by an urgent need to relieve myself which broke me out of my spellbound MSG-induced state. I rushed to the bathroom, and as soon as I opened the door, I was knocked down by a heavy gust of cigarette smoke. BathCraft Level 1, Tip 1: In Korea, women’s bathrooms often double up as smoking lounges in a society where smoking in public is not permissible for women. I don’t know if I was feeling disoriented by the smoke or nauseous because of an automatic-machine coffee overdose , but as soon as I opened the stall door, a wave of confusion washed over me. ANDROID-POWERED TOILET OF THE FUTURE!!! BathCraft Level 1, Tip 2: If you don’t have a Master’s degree in IT, then don’t go to the bathroom. 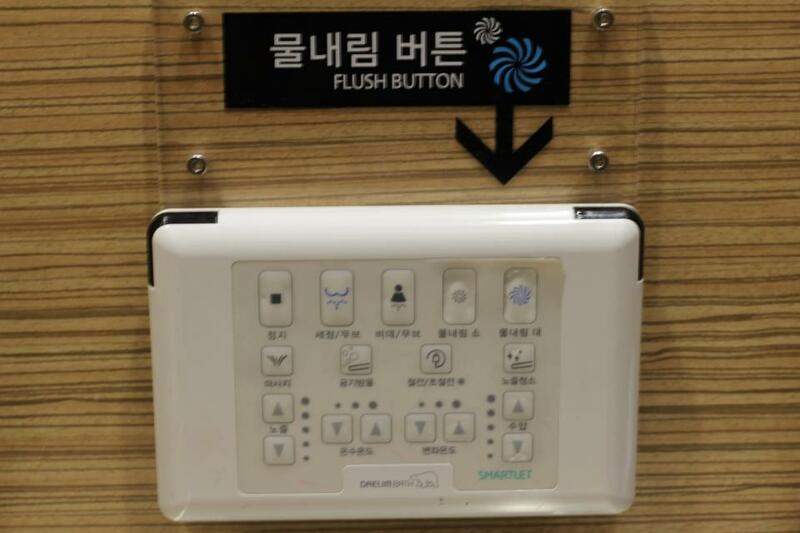 These high-tech toilets come equipped with a control panel containing at least a dozen buttons, or just enough to put a commercial pilot to shame. – Seat heating – keep your tush warm on cold winter days! – Automatic sensor flushing – A hands free concept sounds great, but you still need to find the button for it… and then push it… so I guess it kind of beats the concept of an automatic sensor. – Drying – This is the ecological answer to toilet paper consumption. What a fun way to save trees! – Massage – Hmmm, am I the only one here who thinks there’s something wrong with getting a massage from your toilet? I’m a little baffled by certain features like “set clock.” I mean, are people taking naps on the toilet? And what about “Power on/off.” What happens exactly when you turn a toilet off? 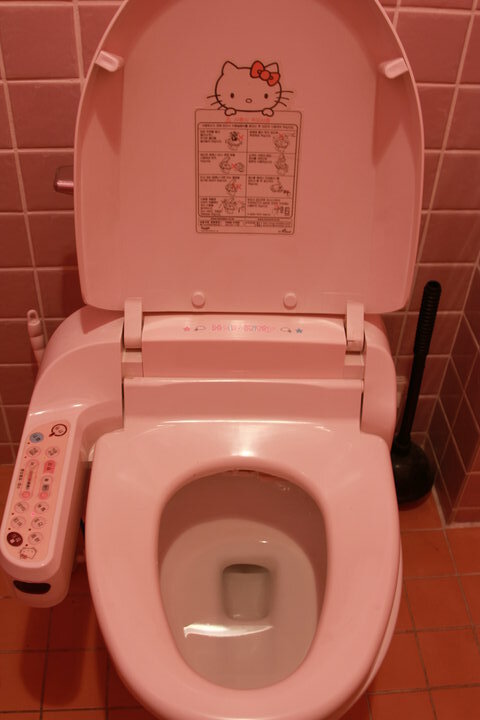 If you’re into video games (and Koreans are) then this is the toilet for you. But if you were brought up using a no frills Canadian toilet, I suggest you learn the ropes quickly if you want to avoid having any traumatizing Korean toilet mishaps. I have plenty unfortunate stories where I accidentally pressed the “high pressure frontal wash” button, and then had to make up some lame story to explain how my clothes became all wet as my hot date looked on suspiciously, at a safe distance. I guess those are the times when you wish you had known how to turn your toilet off. I love it!! How creative and interesting. I was so amazed when in Seoul 3 years ago with the luxurious and confortable bathrooms in the subway stations. I love your writing and style, please keep up it is so much fun to read them. Haha, and make sure you know how to turn the sprays off!! 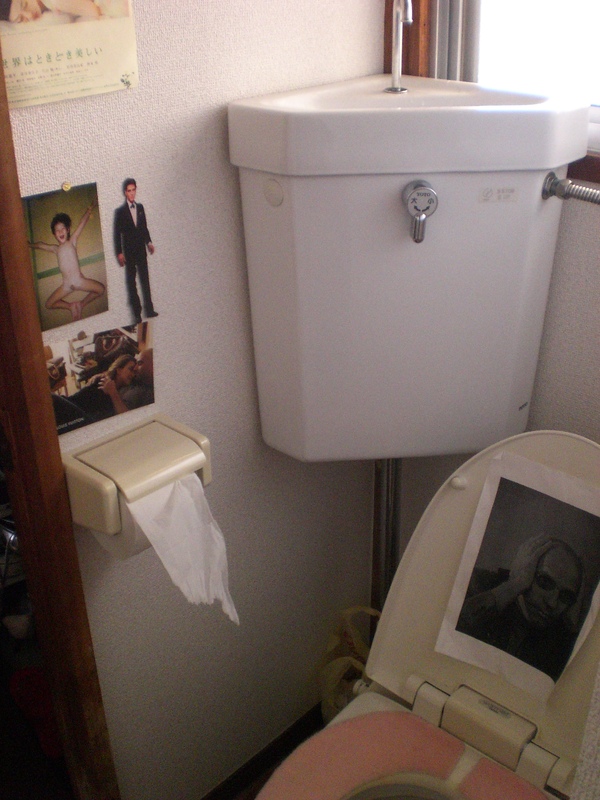 I had an embarrassing incident where I turned on the bidet spray and couldn’t turn it off and stood up and well…. let’s just say people give you weird looks if you come back from the bathroom with wet hair. But love love loooove the seat warmers. Nothing more cozy than a bum-warming seat! Makes you want to just sit and relax. Great topic!